I got this in an email today, thanks for the heads up Simon. Even if you can’t read french and even if you won’t go to their Championship, you should at least follow the flier link to see how great his post for this tournament looks. 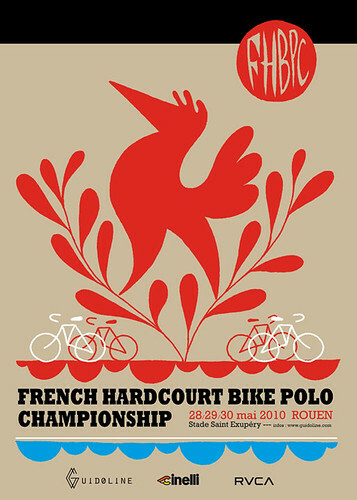 This entry was posted by Doug D on May 4, 2010 at 12:43 pm, and is filled under Art, Bike Polo, Events-Past, France, Past Polo Events, Suggested Topics. Follow any responses to this post through RSS 2.0. You can leave a response or trackback from your own site.